The humble t-shirt can still be a powerful tool for spreading a message and rallying together a group of wearers, both mentally and visually. 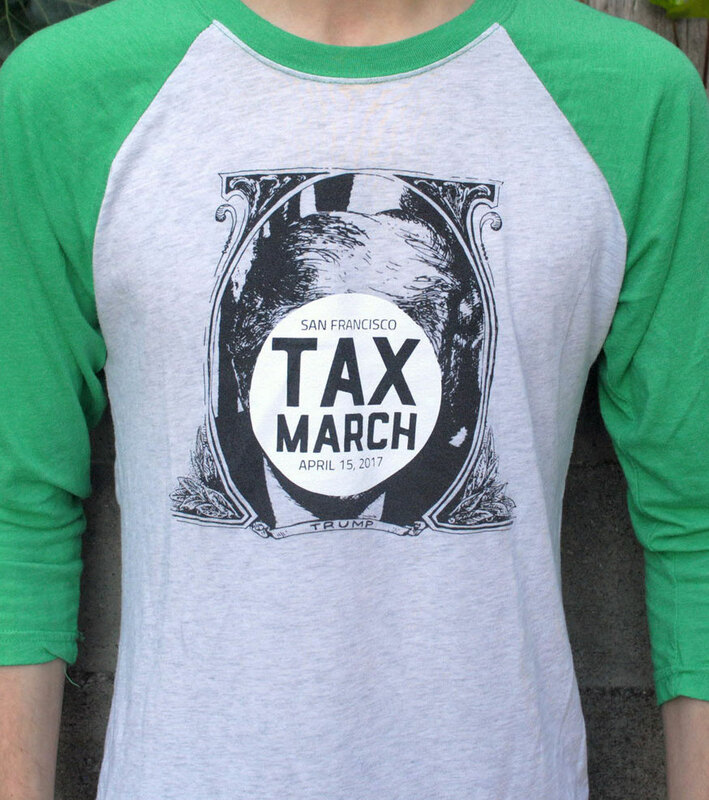 They also tend to be pretty good at raising money, because people still love a cool shirt. 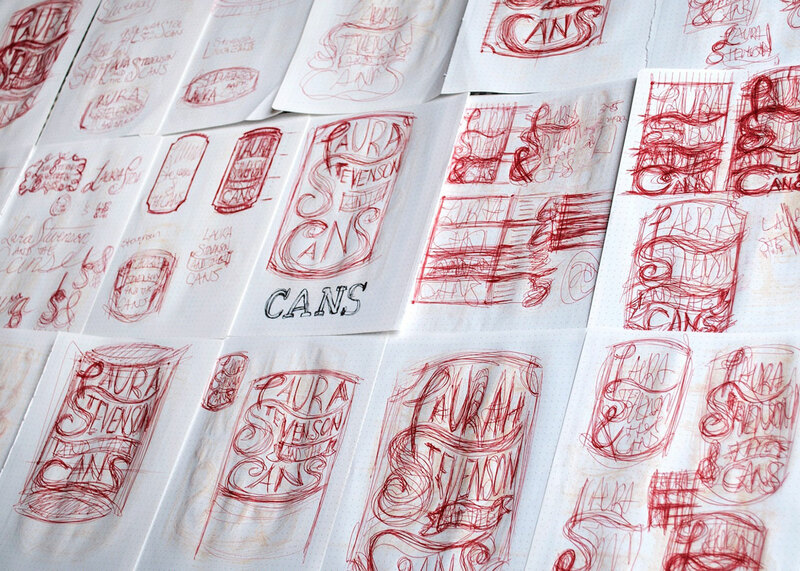 Here are a few designs I've done off the clock for some great groups. 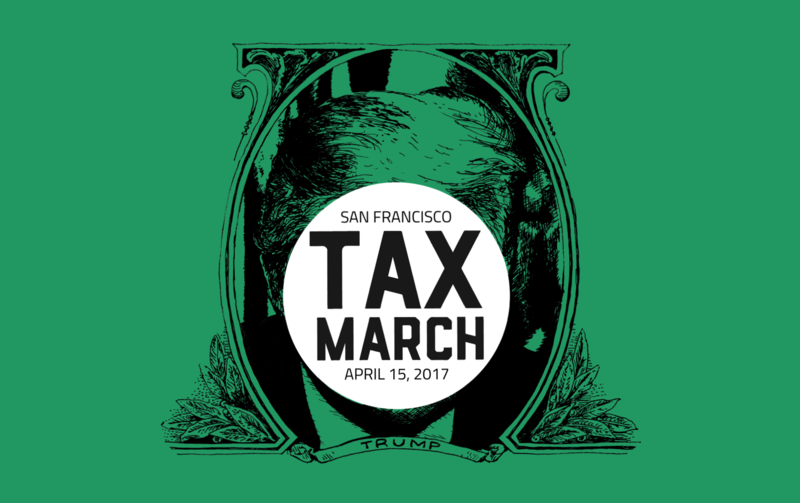 His designs allowed us to raise thousands of dollars in fundraisers, spread the word with posters and pamphlets, and recruit new volunteers with recruitment campaigns both in print and online. 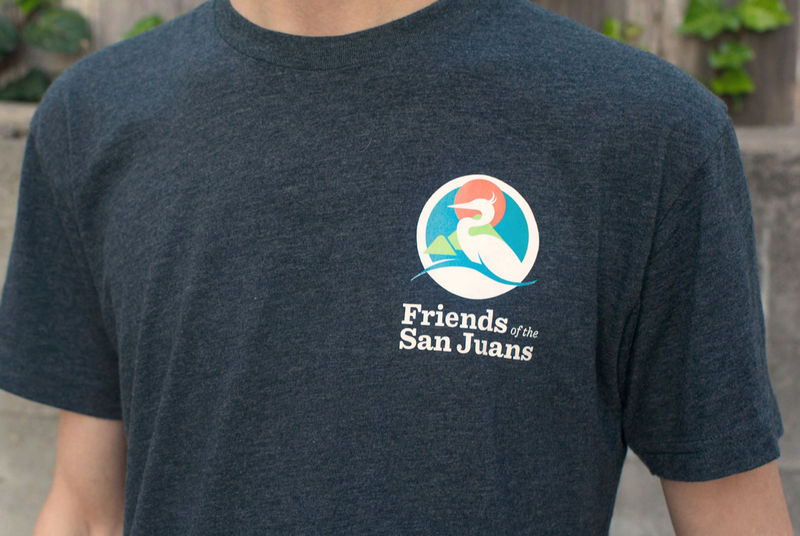 The second group I worked with this year was the Friends of the San Juans. They are an environmental protection group from the San Juans Islands in Washington state. 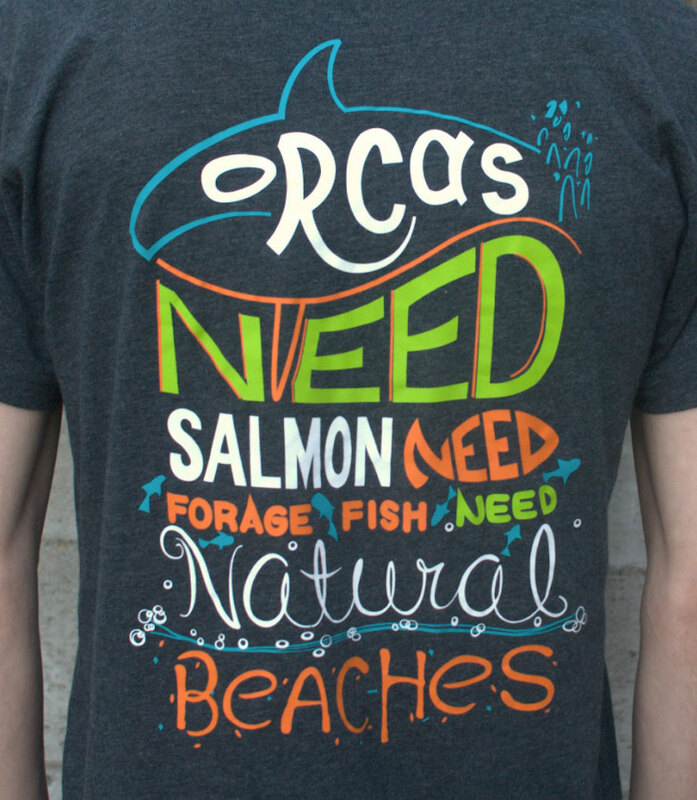 This group of lawyers works very hard to protect the beaches where they live, and they asked me to create a type-focused shirt based on this phrase describing the Orca whale food chain. Many of the locals love whale watching and the islands are famous for Orcas. FotSJ wanted the shirt to explain how the ecosystem is linked together in ways which may not be obvious to everyone, and hopefully show people why they worry so much about beach laws. This one started out as fan art. Making self-initated designs for bands I like is just one tactic I use to keep my skills sharp. If I can, I like to send what I've made to the band members. 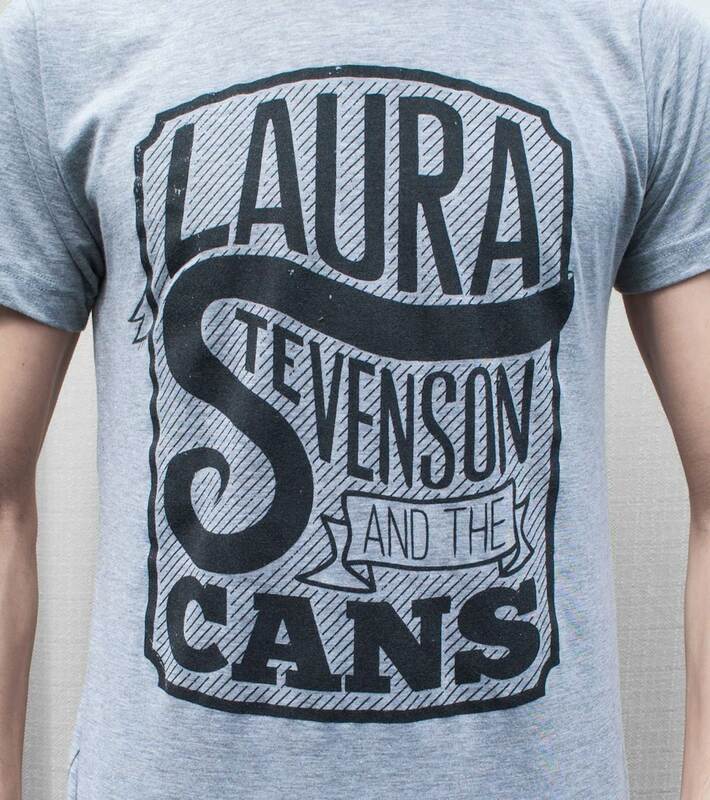 Laura Stevenson and the Cans are a spectacular indie/folk/rock band who eventually had their design made into a T-shirt. After the first batch of shirts were printed and sold out, I received an email informing me it had done well. They reprinted the shirt, this time with different colors, and I finally got my hands on one. Like I said, the first batch sold out.